Welcome to the Christmas Nights Tour! 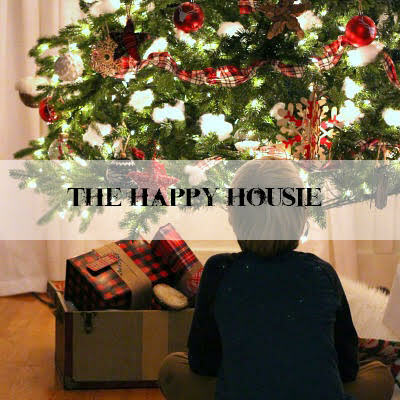 This is a huge blog hop featuring 35 gorgeous holiday homes all lit up at night!! I guarantee you’ll be mesmerized by the glow and twinkle! 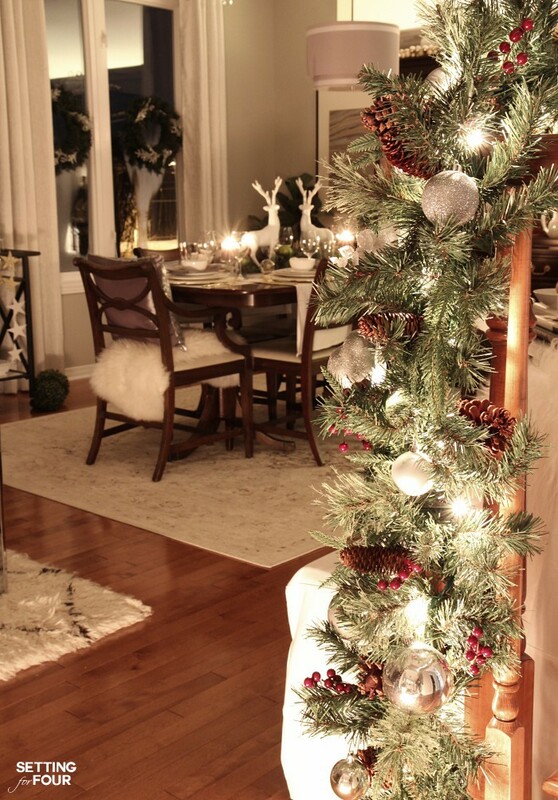 A big thank you to my talented friend Rachel at Maison de Pax for inviting me to this inspirational Christmas tour! If you’re coming fromThe Happy Housie then welcome! I’m so thrilled you’re here! If you haven’t visited her home tour make sure you do! One of my favorite things about Christmas is the twinkling lights at night! It’s so magical and romantic. 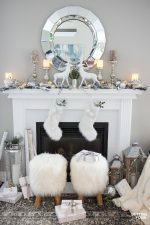 I love putting on Christmas music (did you see my fun Holly Jolly Christmas playlist?) at night with all the fairy lights on and snuggling in at home! 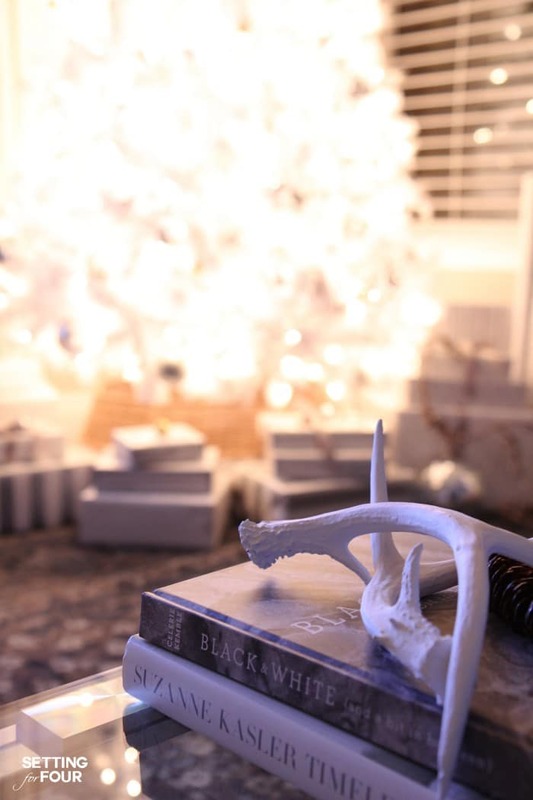 I LOVE these mercury glass pine cone string lights! 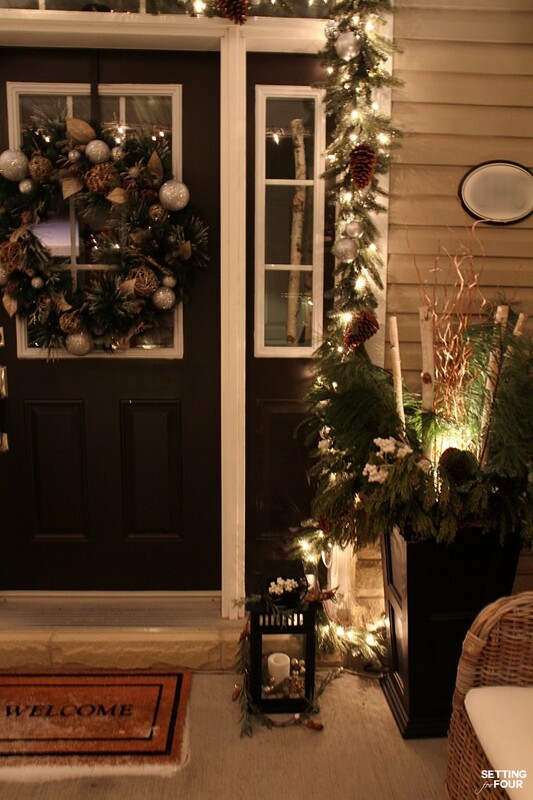 Our porch is so pretty at night! Especially with the snow we have – it’s so sparkly! 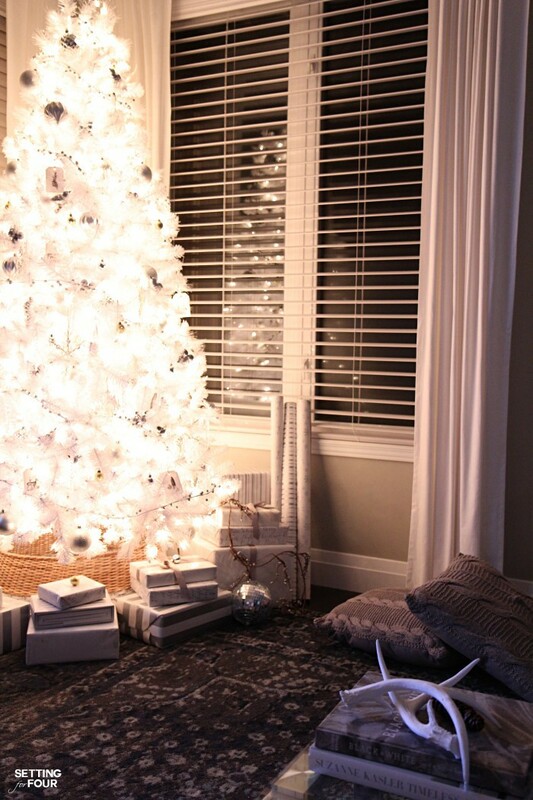 Our white Christmas tree has the most stunning glimmery look at night – I love sitting in our living room and admiring the peaceful shimmer! Click on any image and use the arrows to scroll through the collection to be taken directly to the product you are interested in learning more about! Thanks so much for visiting today – I hope you enjoyed my Magical Christmas Lights at Night Tour! 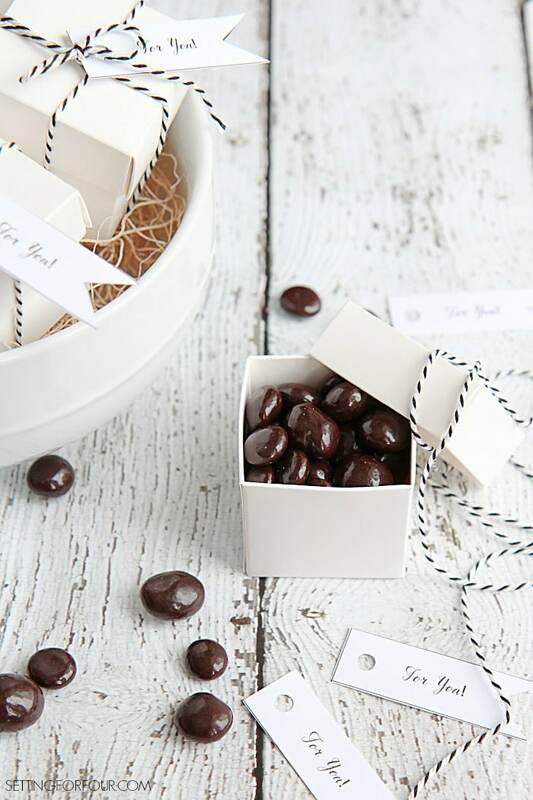 Make these Quick and Easy DIY Chocolatey Favor Boxes for Gifts ! 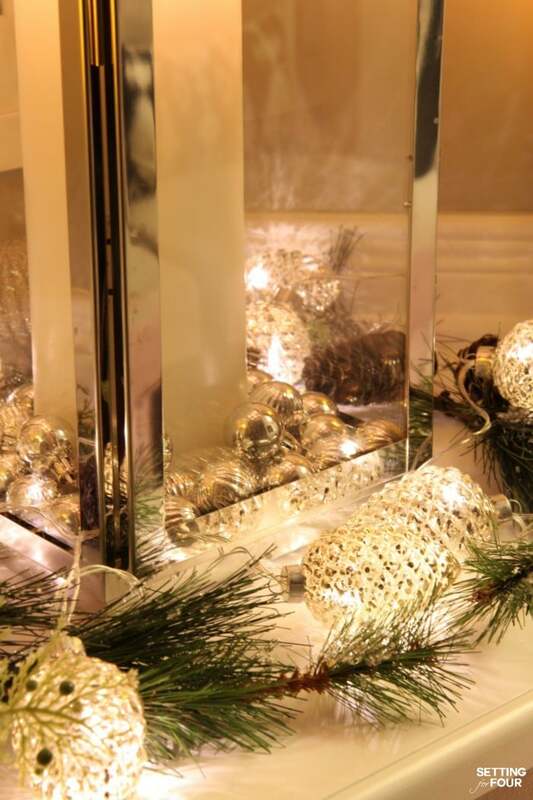 These make adorable hostess gifts, table favors and gifts for guests that pop by unexpectedly for the holidays! 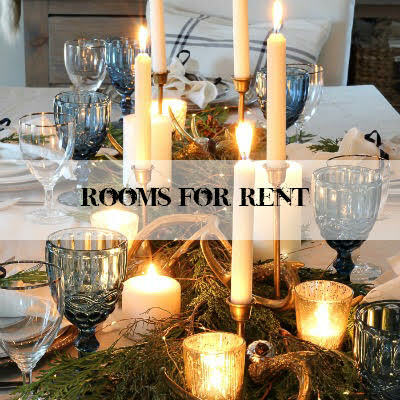 Now pop on over to Rooms FOR Rent to see her Christmas Nights Tour! Now grab a cup of hot chocolate and your cuddliest blanket and see all of these 35 Holiday Homes all lit up! Thank you so much for sharing on our tour! 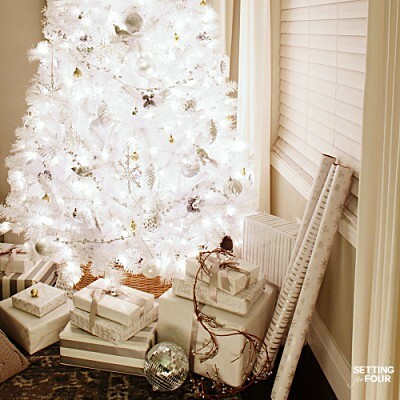 Your silvery and white tree is so bright and festive. And, I am so jealous you have snow for Christmas! Heather, your garlands and greenery are so beautiful!! Everything looks wonderful all lit up at night! Wishing you a Merry Christmas! Your home is so pretty, Heather! I love all your twinkly lights! Happy holidays. Beautiful tour, Heather! I love the white and silver combo! Hope you have a very Merry Christmas! Thank you Abby – Merry Christmas! Everything is just beautiful Heather and I’m jealous of the snow. Whenever we get anything that looks white it’s ice. Merry Christmas to you and your family. 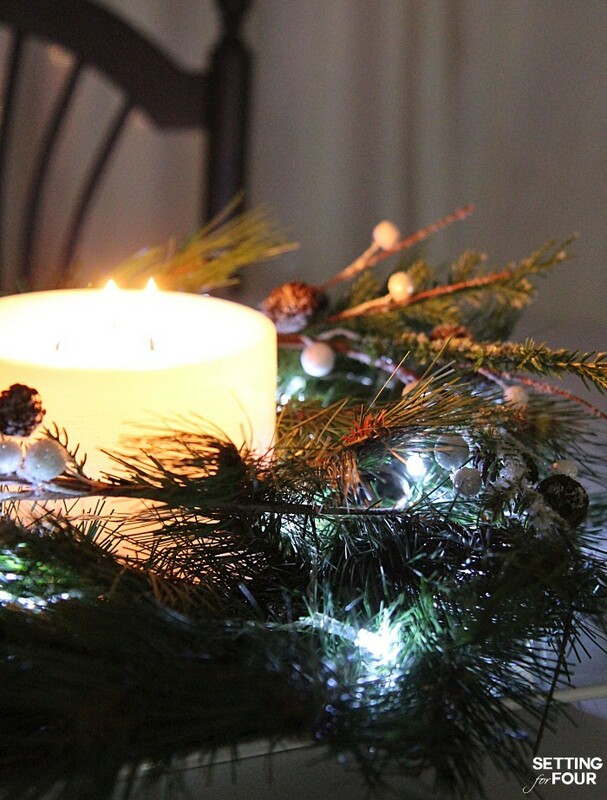 Those garlands with light are so very pretty! 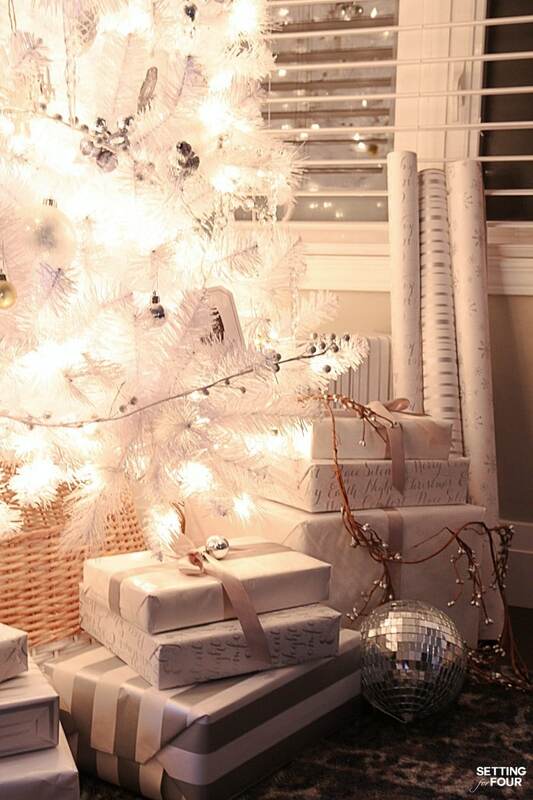 Your tree is stunning. Thank you to your husband for his service to our country. I see now so many ideas for next year! I am definitely stepping up my decorating game!